A little bit modification is noticed in both kernel version and baseband. 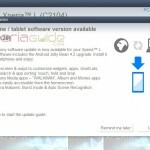 Connect your Xperia L to PC Companion and look for update notification as shown below, if yes then proceed as per screen instructions. First reboot after update is normally slow, it will be normal soon. If you haven’t got update notification over PCC or SUS, then you can follow our guide for manual flashing. Download the ftf from below link and flash it on your phone. Flashing don’t require root neither it voids warranty. Small Apps have been introduced 🙂 New cool feature, it was missing before. 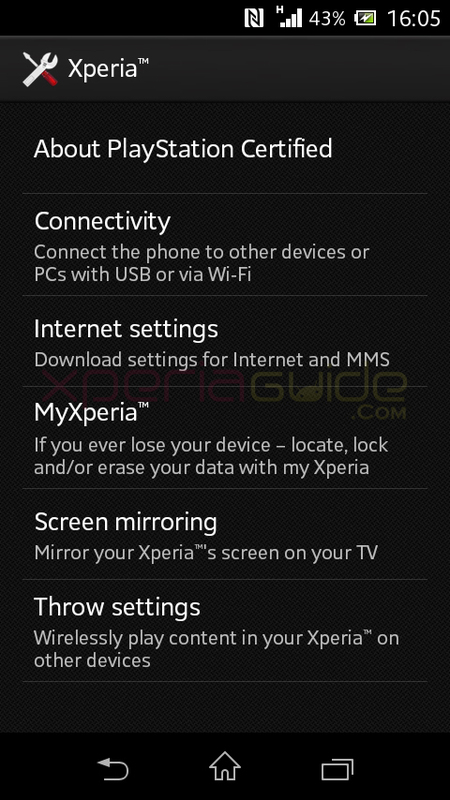 Sony MyXperia app is pre-installed, it is an alternative to Google’s Android Device Manager but MyXperia was first seen in Xperia Z. Camera quality increased with improved HDR feature. Front camera’s black and white bug eliminated. ISO settings in camera added. Shooting videos indoor at 720p mode doesn’t lag now. RAM increased to 785.6 MB from 777.7 MB from 1 GB total available. A little bit more space was seen in internal memory ( as confirmed by some users ). LED notifications flash differently for each app. 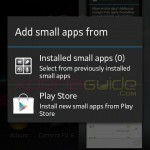 Google Android Device Manager seen in security settings. 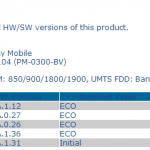 Overall 15.0.A.2.17 firmware update is a nice one for Xperia L users, if you have updated to it, please let us know if you find any more changes or bug…Comments appreciated. 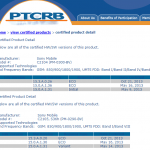 Xperia L 15.3.A.1.12 Firmware certified – Is it android 4.3 or 4.2.2 ? but manually flashing will erase warranty?? No it will not it is safe method , doesnt void warranty. as i search for it we should unlock boot loader and as i know it void warranty.. 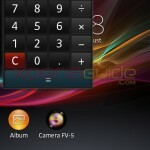 Flashing doesn’t need Rooting, No bootloader unlokcing , No warranty is lost. and will flashing erase all my data.. likegames.. apps.. contacts.. etc?? Well when you flash there is option Wipe > Data, Cache, Log – If you check them then it gets wiped otherwise not. Recommended – Back Up your phone via PC Companion and get all apks backed up by any antivirus like AVG or other software ( now you have full data backed up ). It is always recommended when you flashing to do a full factory reset phone swiping internal data and then do flashing wiping all data and cache so that no previous file of firmware is left and you get a fresh smooth installation. noticed that now internal storage for app shows 4 gb.. earlier it showed 1 gb i guess .. is it true ?? I got an OTA update …. when downloaded and pressed install … it got switched off and android symbol is displayed with a polygon rotating in it’s stomach…. and switched off it’s not working plz help……. 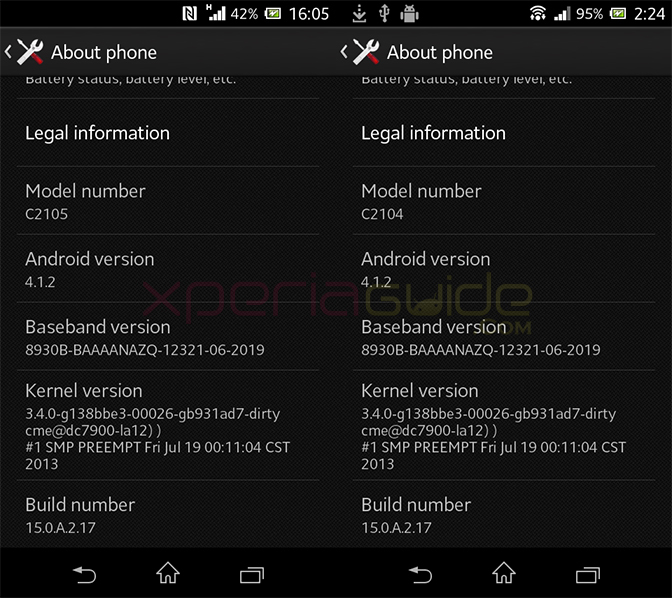 I even updated another xperia l via OTA but it did well…. Couldn’t sort out this problem!!!!!!!! hello, are you able to start your phone now ? it’s software issues seems. 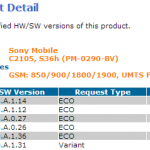 contact Sony service center and ask them to update your phone via EMMA software, there they have the list of all firmwares available. Data Dormancy (or Fast Dormancy) not resolved with this update yet. Phone is always awake by Fast Dormancy. 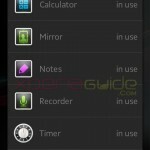 There is no way how to disable it without rooting phone. Hello guys, I need your help urgently. I have some doubts about this Firmware. I’m from Brazil and my device Xperia L C2104 is a national (I acquired on 26/09/13). *Doubt 1: Can I use this firmware C2104_15.0.A.2.17_India.zip normally without future problems? 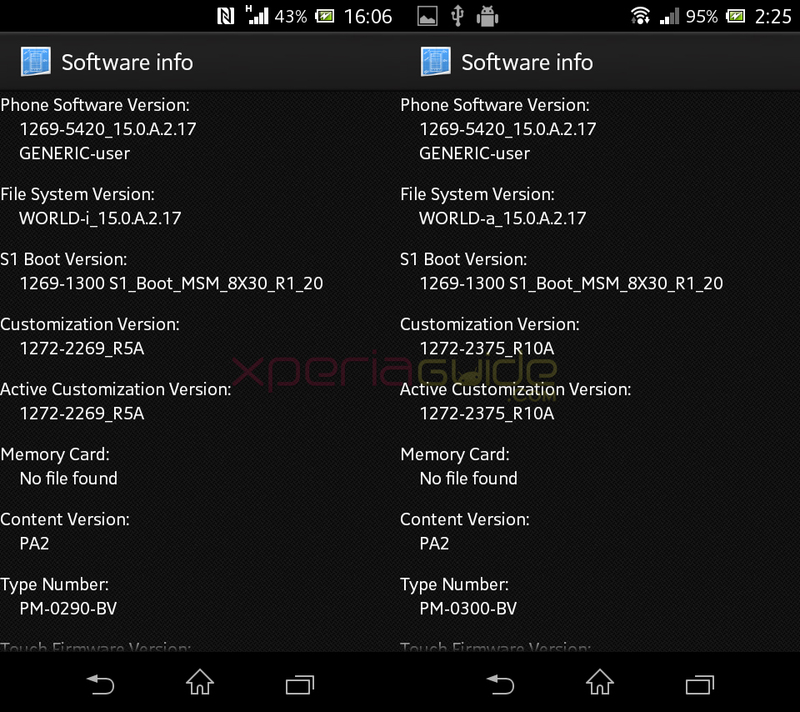 *Doubt 2: My Xperia L will continue with the language Protuguês (Braisl) even with this update C2105? *Doubt 3: I noticed that in the Changelog “does NOT support OTG cables”. So I would not be able to use a DualShock 3 Control (PS3), even with the Sixaxis Controller-v0.6.6 App configured and SixaxisPairTool-v0.2.3? 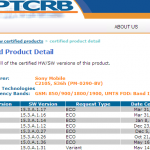 *Doubt 4: The Xperia L C2104 CAN NOT ROOTED and is not with the Bootloader UNLOCKED? I CAN USE THIS FIRMWARE THAT I HAVE WITHOUT ANY PROBLEMS? PLEASE I NEED A LOT OF HELP FROM YOU. Doubt 3: Actually, your version doesn’t support USB OTG. (C2104/5 Doesn’t support OTG officially). 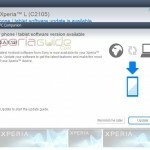 I tried a USB keyboard/mouse that worked on my prior Xperia (Arc S) and didn’t worked. Doubt 4: I rooted the C2104 (framaroot with gandalf exploit). I have thw bootloader locked and I was able to root and to flash the new ROM. 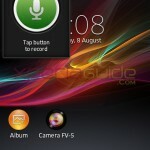 Please, I want to upgrade mi Xperia, but I don’t know if my 3G will work after the upgrade. I have a C2104 and my Telco uses 1900MHz Band. The ROM works awesome. There were no problems with 3G. or flash the c2105 ftf with flashtool. 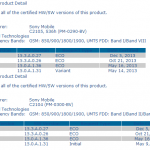 if you had this issue, it’s because your Xperia L it’s a C2105, not a C2104. The only difference between both, it’s that C2104 uses different 3G frequencies than C2105. You are right, it’s a 2104. You can’t change freqs. They are ROM dependant. Have you configured the APNs of your carrier??? 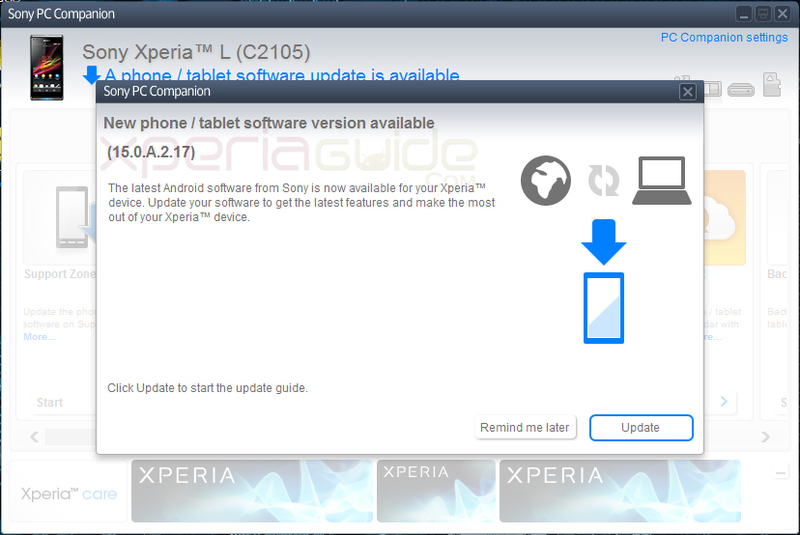 i flashed my xperia L with firmware android version 4.2.2, and now i want to flash 4.1.2, will it cause any problems?